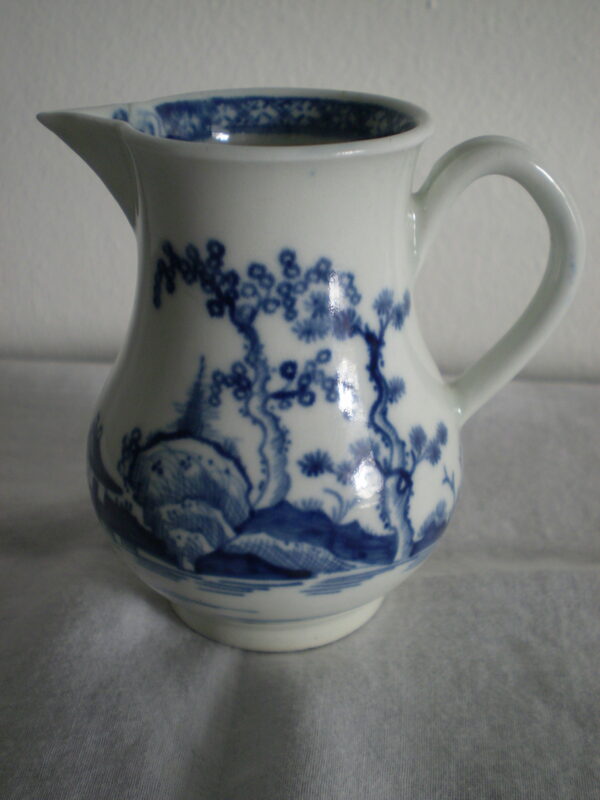 Description: A fine Worcester sparrow beak jug, painted in underglaze blue with the cannonball pattern. Crescent mark and collector’s label. C1765. 7.5cms high.